How much is Prince Charles Worth? Prince Charles net worth: Prince Charles is the eldest son of Queen Elizabeth II and Prince Philip, Duke of Edinburgh. Prince Charles has a net worth of $100 million. Prince Charles was born at Buckingham Palace in 1948. He was baptized by the Archbishop of Canterbury, Geoffrey Fisher, with water from the River Jordan. He had several Godparents, which included grandparents, aunts and cousins. He was made heir apparent at age three when his mother became Queen. At that time he was given the title Duke of Cornwall. After being taught his lessons by governess, Catherine Peebles, for three years, he attended Hill House School in West London. He then went on to Cheam Preparatory School in Berkshire, England. 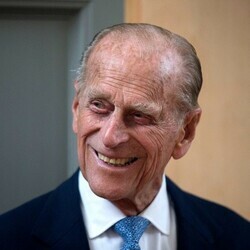 His father, Prince Philip had attended that school in his youth. He went from there to Gordonstoun, which he hated. His complaint was that it was just too cold in kilts. He also spent two terms at Geelong Grammar School in Geelong, Australia and became Head Boy, just like his father. He left in 1967 and did quite well in History and French, with an A level. He then went straight from secondary school to Trinity College Cambridge, and took classes in history, anthropology, and archaeology. He graduated in 1970 with a 2.2 Bachelor of Arts degree. He also received a Masters of Arts Degree from Cambridge. He also studied the Welsh Language at the University of Wales, Aberystwyth. In 1969, Prince Charles was crowned Prince of Wales, and Earl of Chester. In 1976, he founded the Prince's Trust, and traveled to the United States. Prince Charles is the oldest to hold the title of Prince of Wales, as well as being the oldest and longest serving heir apparent. 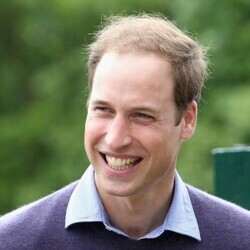 He will also be the oldest monarch in the United Kingdom, if he takes the throne in 2013. Charles was offered the Romanian throne, but turned it down. Charles served in the Royal Navy and Air Force, and attended the Royal Air Force College in Cranwell, training as a jet pilot. He then attended the Royal Naval College Dartmouth for a six week training course. After that he served on the HMS Norfolk, HMS Minerva, and the HMS Jupiter. He also joined the 845 Naval Air Squadron, and has operated a HMS Hermes, and took command of the HMS Bronington. He is qualified to fly Chipmunk Basic Pilot Trainer, a Harrier T MK.4 V/STOL fighter jet and several other aircraft. Not only did Prince Charles have a very active military life, but he had a very busy love life too. He was quite the man with the ladies. He was advised by the first Earl Mountbatten of Burma, to have as many affairs as possible before getting married, but when it comes to choosing a wife, be sure she a sweet, inexperienced and suitable. He met Lady Diana Frances Spencer at her home, while visiting her sister Sarah. After spending some time together, Charles began to consider asking for Lady Diana's hand in marriage. Despite a few objections, Charles did propose and they were married in 1981. They had two children, Prince William and Prince Harry. 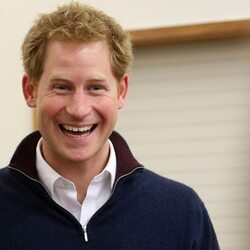 Although some believe Prince Harry to be the son of James Hewitt, he has stated that the affair he had with Lady Diana was after Henry's birth. The marriage of Lady Diana and Prince Charles ended in 1996. His second marriage was to Camilla Parker-Bowles, a woman it is said to have been having an affair with Charles while he was still married to Lady Diana. Charles was the first member of the Royal Family to have a civil wedding instead of a religious one. 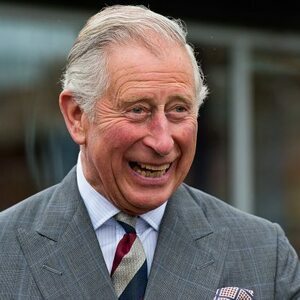 Prince Charles Net Worth – The Duchy Of Cornwall Trust: According to British royal law, the eldest child of the reigning monarch inherits possession of the Duchy of Cornwall. This title is essentially a large real estate portfolio that allows the Prince to have a substantial income. The Duchy was established in 1337 by Edward III to provide income for the heir apparent. If Charles becomes King someday, his son Prince William will automatically become Prince of Wales and beneficiary of the Cornwall Trust. When William becomes King, his son George will inherit the trust. And so on. The U.K. government considers the trust a "crown body" which therefore means its income can not be taxed. The tax-exempt status has been challenged several times and as a result Prince Charles has voluntarily paid taxes on the income since 1993. He voluntarily paid a 50% tax rate on the income for about a decade. He started paying 25% when he got married in 1991. From 1993 to the present he has paid the standard UK income tax rate each year. The duchy owns 133,000 acres of land in the UK over 23 counties. The land is used for farming, residential housing and commercial real estate. As of 2019, the estimated value of the land is $1.1 billion. In a typical year the trust produces a little over $20 million in income. In some years the income has topped $30 million. Charles uses the funds to provide a salary for his wife and children.